Review AV DVD Player - Morpher Gold! 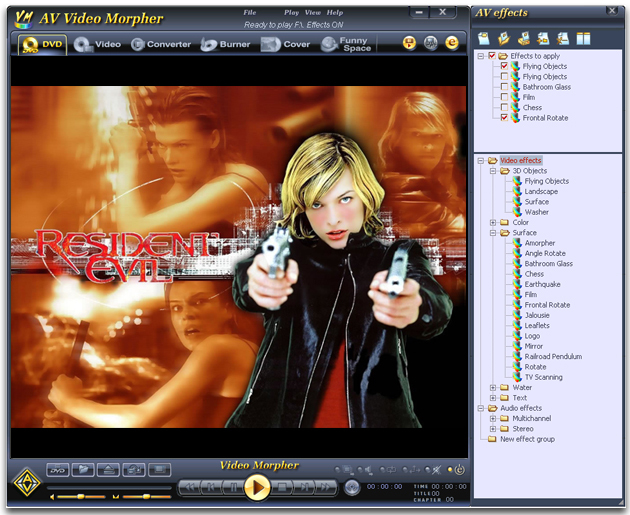 AV MP3 Player - Morpher 4.0.100 - Morph vocals, mix songs, add audio effects, record, rip, convert and burn to CD. AV Webcam Morpher 2.0.53 - Alter your image/voice/ background with Webcam Morpher for online video chats.